When I turned seventeen I didn’t get into a car and learn to drive. This is a decision I have questioned a lot over the years and it’s easy to say I wish I could go back and change things. I was far too shy and lacked incredible confidence in myself. As I got older I did feel a little out of touch with things, especially when people my age could drive, however I never saw it as an obstacle. It was when I started working full-time last year, my work place was over an hours bus ride away, and this meant countless of wasted hours spent on public transport and relying on lifts. I loathed all of the travelling and the one thing I wish I could do was be able to drive. Something in my mind clicked, I knew from that day on I wanted to learn to drive. I began having lessons, but immediately struggled and lacked confidence in my ability. My confidence has always been a problem and I felt incredibly challenged just sitting in a car with a complete stranger. I set aside most weekends for driving lessons, and it was slow progress at first. I found myself getting even more stressed as each lesson would come around. I even got upset on a number of occasions. The theory side of things was a little bit of a shock for me too, all of the questions were like a foreign language to me. I had no gut instinct or knowledge of the road, so this meant I had to start from scratch and teach myself. I set aside plenty of time for revision and I was fully prepared for my test and I went onto pass it first time. The relief I felt once passing this part was a huge motivator for the practical side. I spent the remainder of last year having more driving lessons, and all this time I felt completely frustrated at how long it was taking for me to learn, but I know now this was crucial to me getting the confidence and ability I needed. Perseverance is by far the key to success. It was then in January of this year, I took the plunge and booked a test. It was ambitious of me to think I would pass first time, but I can’t even begin to describe how disappointed I felt when I failed. I cried and cried, and had never felt so disappointed in my life before. The only thing I could do was pick myself up and try all over again. The day of my second test arrived, and something had changed. The nerves had gone, and for the first time I felt like I had the confidence to do it. It was then at the end of the test I was told I had failed again. This time I was disappointed, but I knew how close I had been to passing. I was determined to carry on. It was the day of my third attempt, I was sick with worry; I had convinced myself I would fail yet again. I got in the car, took a deep breath and drove. When I heard the words you’ve passed, I was left completely speechless, I had done what I had thought was impossible. For me, this is huge achievement. This wasn’t something that came naturally to me and certainly wasn’t without its struggle, but I refused to give up. And I truly believe that has what has got me to where I am today. 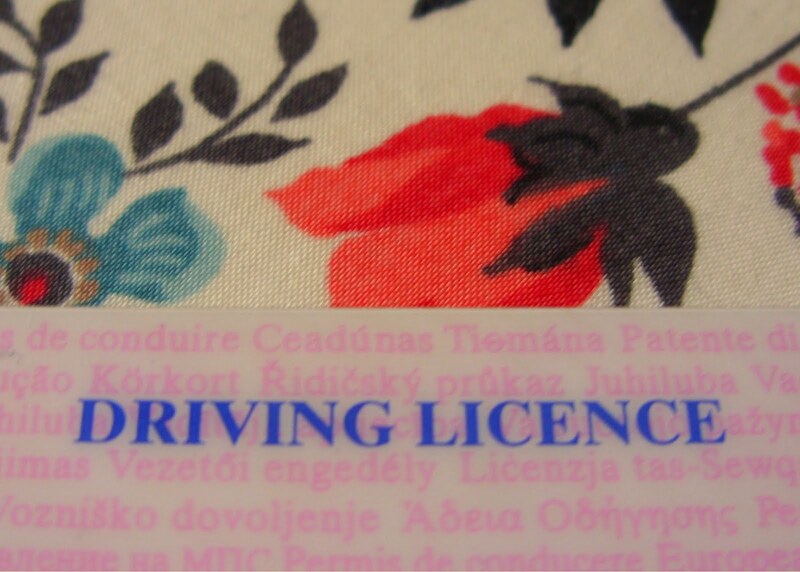 I may not have got my driving licence until I was twenty-two years old, but now that I have got it, it is something I will put to good use. The financial side to it can also seem daunting, I funded my lessons by myself and the cost of it overall- lessons, Theory test and books/dvd, Practical test, re-tests and Pass Plus was in the region of a couple of thousand pounds. If someone had told me it was going to cost this much, then I may have been a little discouraged to begin with. I could have easily put that money towards something else or even spent it on clothes, shoes or even a holiday, but sometimes you have to make a decision and I knew at the end of the day I wanted to be able to drive. I did find the more I stressed and worried about the cost of each lesson or each time I logged on and booked a test, the more it distracted me from learning. With rising fuel costs and insurance, it certainly isn’t the most friendly sum of money. For some people it may cost a lot less, for some more, you simply can’t predict how many lessons it’s going to take you and you can’t count how much money it will take you to get there. This makes me realise that if you are prepared to work hard for something, the sky is the limit and most importantly you will reach your goal in the end. If a shy and quiet girl like me can overcome something as big as this, anything is possible. So proud of you Alice! Such a lovely story and brilliant advice :) Well done! I can really empathise about lacking confidence behind the wheel and took me two attempts on my theory and practical. It took me a long time to really feel comfortable and at home in the car, but now I know I can do it, 9 years of driving around has proved that. With our rural location a car is a must, there is no way we could use public transport. Well done on coming through the other side, I know a handful of people who have still not conquered the car and have given up, which is rather sad. Well done you on persevering until you passed! Driving is an essential life skill - not just for making your daily life easier, but also you never know when it could make a huge difference such as being able to get someone to hospital quickly. I found it relatively easy, altho we didn't have to do a theory test then the examiner just asked you the questions in the car at the end of the test. Luckily my Dad started to teach me before I was 17 and I passed first time, but I understand how daunting it can be for some. Hopefully your experiences and advice here will help others. It's on my 30 Before 30 though, so hopefully I'll manage to tick it off the list soonish. Many congrats on passing your driving test. It is a HUGE achievement and one that I really admire. I was one of those people that jumped into a car as soon as I turned 17. 8 tests later I FINALLY passed and three weeks after that I had an accident. Many, many, many years later and I still have not got back into a car since the accident. I wish I had waited until I was more mature before I learned to drive. You have done what I wish I had done. Very, very well done! Congrats and amazing post. I started learning at 17 but my heart wasn't in it. 25 now and I'm just looking at going back! Well done Alice!! This whole blog sounded just like me.. apart from the actual learning to drive part! I too didn't feel the need to learn to drive when I was 17 - my parents paid for my older brother to have driving lessons when he turned 17 but by they never offered the choice to me which is really quite unfair now that I think about it!